This fully remodeled home has everything youre looking for! Walk into this light and bright interior including 4 bedrooms, 3.5 baths in a 2,739 sq. ft and you feel right at home in this comfortable living space- this is the Best value in Smoky Hill. Featuring New: hardwood floors, carpeting, interior paint, kitchen counters & sink, lights, 50 Gal water heater, furnace, 30 yr warranty roof, dual pane windows and a beautifully finished basement. Outside, the front and back yards have been professionally landscaped ready for your familys enjoyment especially among the mature trees and bushes. The side yard includes RV or Boat parking with extra parking for guests. This property truly has it all. Smoky Hill HOA includes a swimming pool, tennis courts and a club house for activities for just $60 per year. 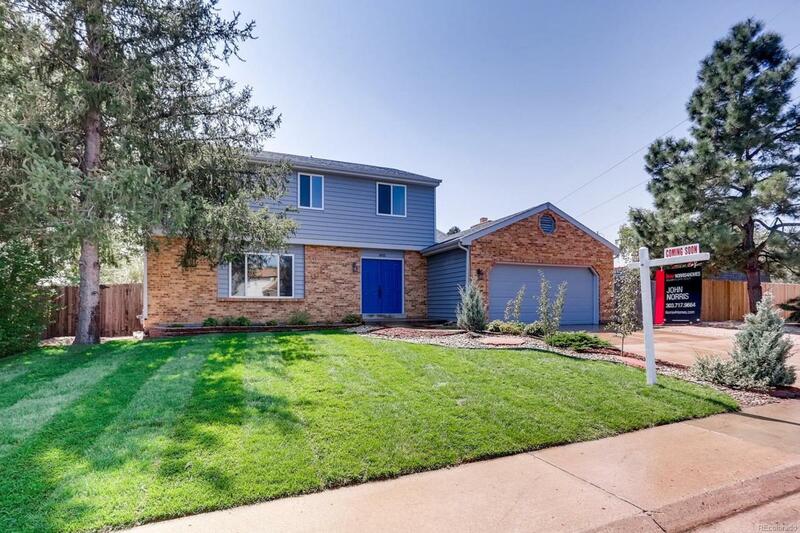 This home offers easy access to Smoky Hill Rd, E470, Southlands Mall & more. Shopping and Dining are minutes away.